Shakespeare always applies. Even in game development. I spun in my chair for what seemed like an hour as we processed the possibilities. The team and I sat in the office, mumbling words from the tops of our heads, some making good sense and others making us question our sleep depravity. The new name of our project needs to be chosen. Time is running out, and our codename Guardian no longer fully represents our game design. We’ve been told that the name will find us. A serendipitous lightbulb will go off, and immediately we will all know that that was meant to be our game’s name. Others suggested we drink till something comes up — a name preferably. Ron and I met with the owner of Abilene’s The Gathering Place, a hangout for those who love games, especially those who enjoy card games like Magic: The Gathering and Yu-Gi-Oh! . Though our audiences may vary slightly, we learned a lot from the meeting, and it’s always nice to see others who are passionate about gaming. We hope to attend the West Texas Table Top Con in San Angelo this weekend and spread the word about Reactuate Games and maybe make some friends in the process. The Say Something Smart podcast recorded another episode, this time featuring co-founder of Nectar Game Studios, Rob Buchheit. We discussed such topics as their new game Project Resurgence, unrealistic females in video games to having “too much rhythm” for DDR. Episode 2 goes on Aug. 13th, but you can catch up on the series on our blog post, YouTube, or iTunes. I also wrote a script and storyboarded a “happy” teaser trailer for Guardian. Reminiscent of the “Pure Michigan” commercials, this short video focuses on the touristy feel of the game. Within the next two weeks, this trailer will be released and showcase RG’s animation debut. Ron also worked on a storyboard for the “scary” teaser trailer. This video will consist of the problems that may occur in the game. We’re hoping to release this video a week after the “happy” one. Our fearless leader is now moonlighting as a YouTube personality– sorta. His new vlog series focuses on leadership in a video game company. The first episode, entitled “What Does It Mean to Be Boss?”, is on YouTube and here. The Kickstarter goals and rewards have been sketched out by Ron, too. Though RG’s main monetary goal has been cut, we still want to give our backers great rewards, so we all added our two cents in to what our supporters should get, and Ron created the final-ish list. Our talented digital artist, Katey, has been hard at work on many different tasks. 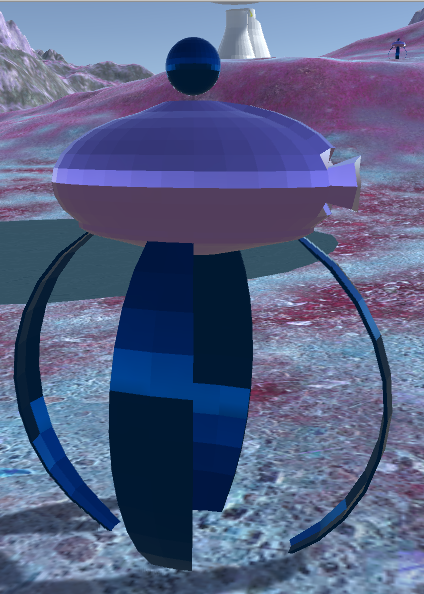 The Colony Cam, for instance, has come to fruition, with a rounded, futuristic appeal. 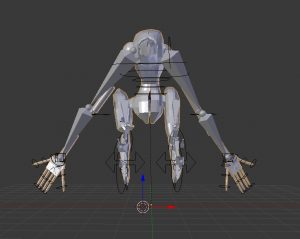 Katey also practiced rigging on her monkey, who’s been with us since day one. Now, the monkey can dance, bounce, shake, twist … everything but twerk! It’s a big accomplishment, as Katey had to watch a lot of training videos and spend a lot of time getting things into motion. Now Katey is in the process of rigging the fearsome Swarmbeast, a monstrous alien that threatens the colonists. This creature will be featured in our trailers for the first time. Austin focused on getting the UI elements in place and having them work properly when clicked on, including pop-ups popping up at the right time. He also managed to get the colony cam system working, which is a huge feat for Guardian. Now, the colony cam is part of the UI, and players can see what is going on in their game at ground level. This interactive feature will hopefully appeal to players, who can now build their colony, watch it transform in real time from a colonist’s perspective, and share their world with their friends. After all of this, we still don’t have a game name, but we know that our game will be awesome despite the title choose. So, The Bard had it right after all. So who heard this song before Geico used it for their commercials? Ok, enough of that. The end of this post will cover the feeling of being watched. Recently, Katey took her rather simple concept for a power plant and transformed it into a much more modern and interesting look. 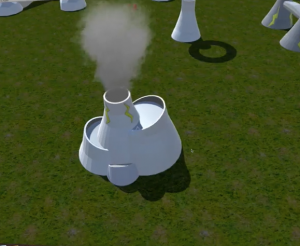 Once that was done, I took it into Unity and gave it steam billowing from its main tower and the ability to now add onto the power potential of colonies. One of the cool things about the building is to watch it be constructed and then start releasing steam once it is fully operational. 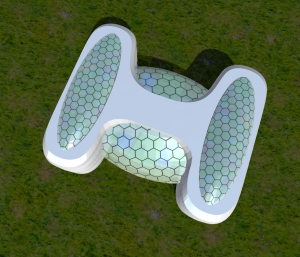 The next task in regards to power is the creation of the wireless power tower (courtesy of Nikola Tesla and Katey) that sends out pulses of electricity and provides power to all buildings within its reach. Notice anything familiar about some of these icons? In addition to new buildings, Katey has been hard at work creating new menu graphics for the UI, with some input from me. These new icons are more unified in appearance and still give the impression of what they mean (plus we left the words underneath if there is any confusion). The UI has come quite a long way from where it once was, as discussed in my last blog post. On a similar note, I have been working to get our game utilizing the event system to manage click events. 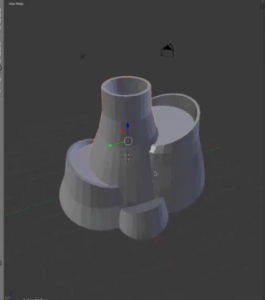 Before, if a user selected an object and then tried to use the interface, unexpected results would occur as both the click event for the UI was triggered as well as the code to check for a mouse click for the object. The goal is to hook game objects into the event system since it has a built-in way to detect and handle multiple events. This will prevent some of the unexpected results seen in some of our videos and streams. The change to using this system is taking a little bit of time to try and figure out how to convert all of the necessary methods, but it will pay off in the end. Lastly, we are excited to begin work on a feature we think will be very interesting for players to take advantage of: Colony Cams and Colony TV. 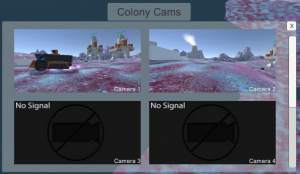 The colony cams are individual cameras/objects that are placed by the player to give unique views of their colony. The plan will be that these can then be hooked into channels on “Colony TV” (a website for the game) where other people can get a glimpse at the goings-on of your colony. We will limit the number of cameras a player can have at one time, but players can change camera locations at any time, and potentially even keep some around their colony to act as outposts to keep an eye out for… ah, you’ll find out later. The point is, these cameras will provide an interesting mechanic for players to take advantage of, and we are excited to start working on them. That about wraps it up for this blog post. 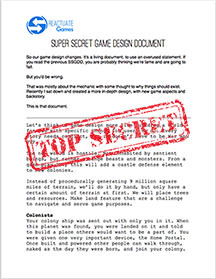 Check out the other Engineering Logs and stay tuned for future blog posts from us here at Reactuate Games! Last Friday, Ron and I played Cities: Skylines, a city-building game that closely replicates some aspects of our own video game, Guardian. Austin and Katey were out for the day, so this left Ron and I to sort through the busy role of city mayor and grow a city into a thriving metropolis. The atmosphere and game play is life-like. Children actually need a school, the people really want electricity, and houses physically burn down. 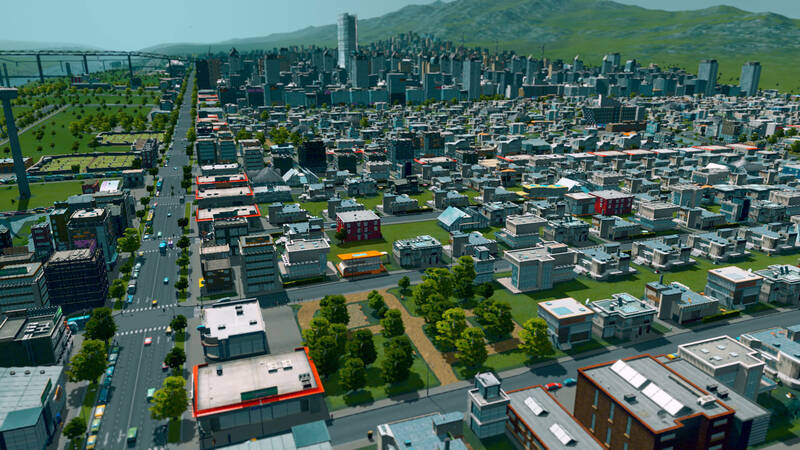 All the pestering tasks that come up when building a town in real life, such as constructing a water line, providing energy, and supplying a landfill and garbage trucks, are necessary in the game as well. Which makes us feel like they weren’t cutting corners in this virtual builder. Clickable graphics. Players can click on the scurrying residents and find out who the individuals are and what he/she does for a living. Click on the houses and see how many live there. While this info may not be important, the intricacy of detail adds to the realism. Chirper. This feature (not to be confused with the better-known Twitter) is a notification system that reports the goings-on to the player. The people of the city will congratulate the player on adding green energy resources or blame him/her for not having enough police officers. Criticism happens passive-aggressively. And just like we like it in the real world… through social media. Can’t choose individual businesses. Unfortunately, as the mayor, you cannot pick which industries build in your city. Companies simply form once placed on an industrial zone. (At least, this seemed to be our experience.) Extra customization here would be more fun for those who love a little bit more control. Williams’ and watch my town flourish. But maybe I’m wrongly remembering how my days of Rollercoaster Tycoon used to be. 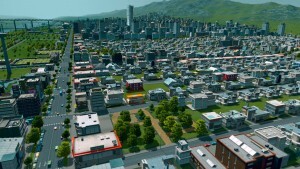 Did you like Cities: Skylines? Leave your comments below or give a suggestion for our next Play & Learn! Reactuate Games had an influx of visitors last week as the team prepared for bigger and better things happening with Guardian and the company. Among the special guests was Angel Rodriguez, who is now more like an official member of the team, co-hosting the Say Something Smart podcast with me. Jon Sheppard of Sheppard Studios joined us in the Command Center, too; we listened to his take on our company’s musical interpretation. This theme encompasses some of the adventurous aspects we envision for Reactuate, but it also includes a hint of 8-bit to acknowledge our game development. You can listen to the entire theme here. 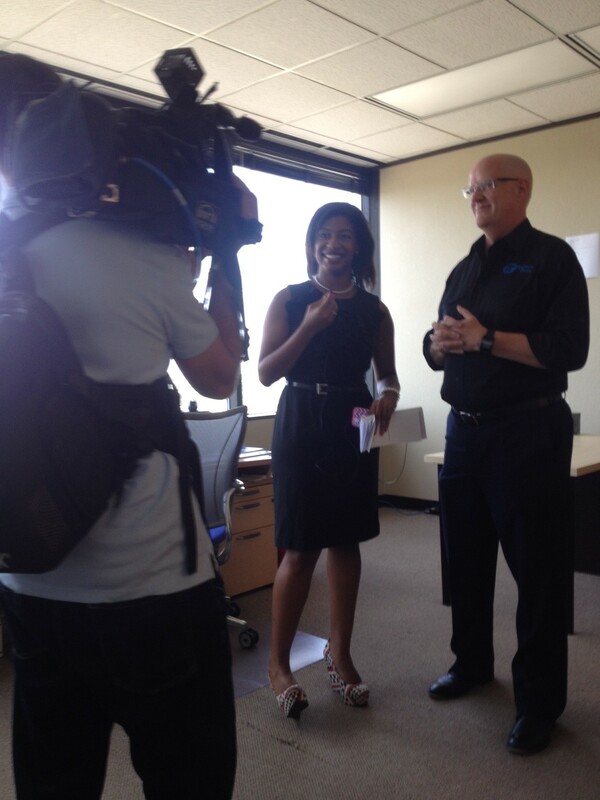 Finally, Abilene’s KTAB news station visited us for a live interview last Tuesday. To say that we were as giddy as 12-year-old girls at a One Direction concert is an understatement. Sure, it was only local TV … but hey it’s a start! And as I’ve mentioned before, when you’re in a startup, you should celebrate the small wins. The KTAB crew was super nice and even complimented the cookies we offered (psst…. thanks United Supermarkets). Task-wise, we got a lot done. 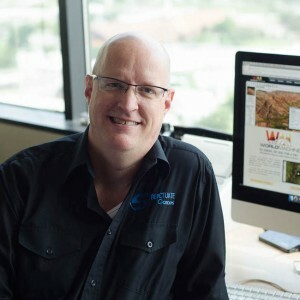 Ron, who was on a task-slaying spree, accomplished much, writing and recording a couple of leadership vlogs (more news on those later), creating images for our podcast series, and installing some podcast plugins for our WordPress. Ron was also our guinea pig for the first episode of Say Something Smart. Angel and I interviewed him and discussed a plethora of topics, including drug testing in professional gaming competitions and the real definition of gamer. Before we started, I admit that I was a little nervous. The mic seemed to stare into my soul and stifle my voice from sounding natural. But as we eased into the podcast, we all started to mesh a bit more and flow with the conversation. Our first episode will be posted in a few days on our website, YouTube, and on iTunes. I also sketched out some teaser trailers that we will hopefully create within the next couple of weeks. As of now, we have two visions: one lighthearted and the other … a little less so. We’re excited to finally get some moving video of the game out to the public and interest more people in Guardian. Katey finished her recreation of the power plant (which now has a smoke feature). She also created some cool icons for the UI. They include simple images, so players will easily understand their function, but they are unique enough to be intriguing and admired as well. Austin worked more on the UI system and implementing missions. He also put Katey’s icon to use. Buildings can now be placed in the game and rise from nothing upon command thanks to our code artist, too. Reactuate Games does Super Smash Bros.
Last Friday, we had a blast playing Super Smash Bros. … and you can’t see it because our screen didn’t record any of it. But we promise it happened. There was screaming and jeering and vengeful laughing– mostly from me– but everyone seemed to have a good time. And after some intense 4-player action, we talked about the pros and cons of this wildly entertaining game. 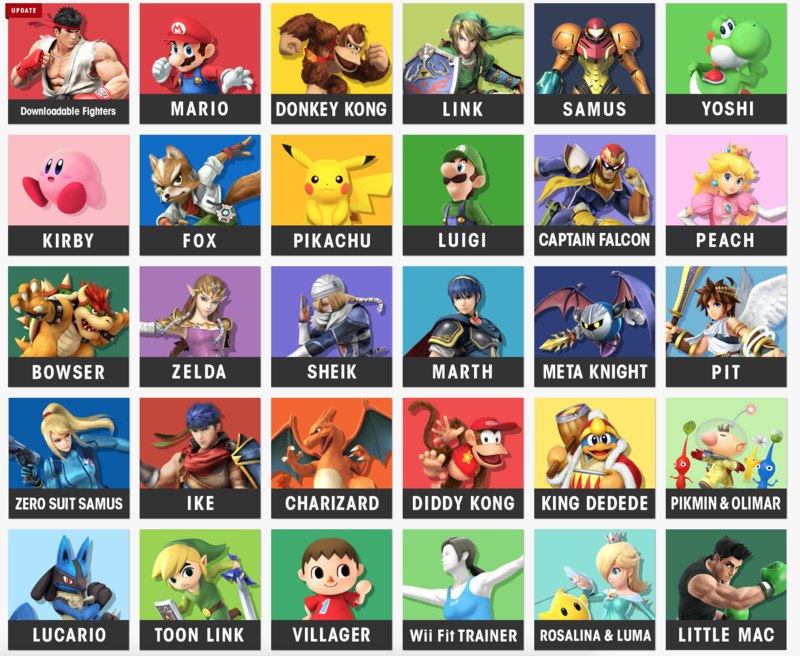 So many characters to choose from! Not only do you have the regulars like Mario, Luigi, and Peach, but you also have Pac-Man, Pokemon characters, and the Wii Fit Trainers. Yes, the lady trainer pulls a yoga move. No, it didn’t do much — but it’s cool as an option anyhow. Up to 8 people can play. Why would you want 8 to play? To add to the chaos, of course! As the saying goes, the more the merrier. And the more to demolish. Developers still focused on details. If you attack someone with a shield, you’ll get hurt. Even with all the craziness happening, Jigglypuffs flying left and right, it’s nice to know that even these minute details work. The wii remote doesn’t have any effect on game play. The movement censor means nothing in this game (at least it didn’t seem like it). I see a missed opportunity. Camera view plays favorites. Sometimes the camera would follow a character to their death besides focusing on the remaining players left on the platform. What gives? This sometimes made it difficult to continue fighting when others were defeated. 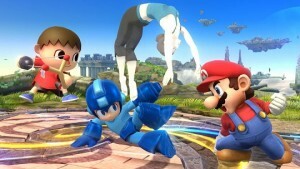 Do you love Super Smash Bros.? Let us know in the comments below, or give us suggestions for our next Play & Learn! As Reactuate Games gains more support and Guardian comes into focus, we have begun to notice the details that were once not a big deal — the things we said we’d get back to at a later date or work on once we get the bigger priorities complete. We did a lot of this fine-tuning last week. We largely focused on a new podcast project we’re starting. Angel Rodriguez (find more about him here) and I will be co-hosting the series and discussing anything from video game development to how society can benefit from playing these kinds of games. I worked with Ron, who has past success with multiple podcasts, to reconstruct a lot of his ideas. We sketched out our theme, some question topics, and the outline for the episodes. The title is something we’re still wrestling with, however. We’ll be recording some of those episodes this week, so be on the lookout for those soon. Ron also contacted a music tech who will create our company’s sound– meaning, he’ll produce music that embodies what RG is about. This music could potentially be on podcasts, trailers, and other videos that we create. Eventually, our music man will make a theme for our game. But first things first. Over the course of last week, Katey concentrated on fixing and revamping some of her older work. Our digital artist added more realistic lightning to the colony portal, shrunk the warehouse to be a more appropriate size, and recreated a power plant with an interesting design. While still coding the game into existence, Austin also managed to take on some art duties by putting together a thumbnail for our YouTube videos. Though this seems like a simple task, it’s important to incorporate the right amount of details and simplicity for YouTube audiences scrolling through clips. He also wrote up a programming blog post and continued testing UI elements. Besides working on the podcast, I uploaded a new video to YouTube, entitled “Why We’re Not Free to Play.” It’s an interesting talk on why we’ve chosen not to go with the trend of F2P. Watch that below or check it out on our YouTube channel. I also created an email subscription survey, completed some courses in YouTube Creator Academy, and wrote up a document on our target audience avatar. These tasks are fleshed out a bit more in my marketing blog post. ew.com / Shawarma provided by Big Country Wraps in Abilene, Texas!! Marketing is in full-force here at Reactuate Games. With a little over a month until Kickstarter, the team has had idea-fever (it’s a thing), and our marketing to-do list is growing. One idea that we’re extremely excited about is our new podcast series. Since our first weeks at RG, we’ve aspired to produce a gaming podcast, but we felt too much time would be taken away from other, more important projects. At this stage in our journey, however, it’s vital to collaborate with other gaming-industry influencers, build our community of supporters, and spread the word about our game. 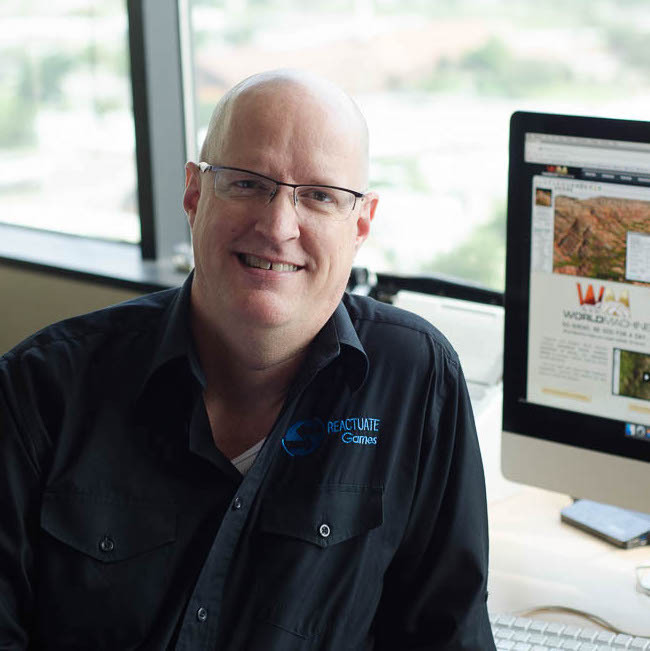 With the movie Pixels coming out this Friday, I saw the debut as an opportunity to introduce our company to those who enjoy or enjoyed gaming in Abilene. 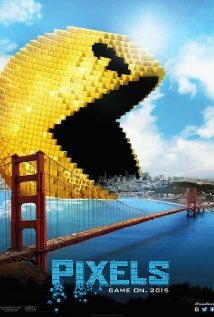 This Adam Sandler film is about aliens misconstruing feeds of classic video games as threatening, so the extraterrestrials send arcade-faves, like Pac-Man and Donkey Kong, to destroy earth. I’m planning to see the movie this weekend, so while I’m out I’ll pass out flyers about our game, hopefully letting a few interested strangers know that a video game company exists right here in town. Fingers are crossed on this one! Another project we’re working on is an incentivized survey for our email subscribers. Sharing by word of mouth is still a crucial part of marketing, so we’re offering subscribers to choose what we do next here at RG, and we’ll do it … once we get a certain number of subscribers. This will encourage others to share the website and our work. Some of the choices include me writing a flash fiction piece involving the colonists and streaming a special Youtube video for the subscribers. I’m always trying to learn more about my job. Therefore, I’ve been going through YouTube Creator Academy, a helpful video series that teaches the fundamentals of sustaining and popularizing a YouTube channel. Tips on titles, thumbnails, and talking to your audience are all included. For those wanting to grow an audience on this site should look over these short clips and take notes. 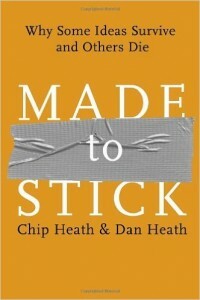 I’m also reading Made to Stick, a marketing book that specializes in getting people’s core ideas to stick with the public. Using the acronym SUCCESs, the authors breakdown the techniques to having good concepts being remembered. Simplicity, Unexpectedness, and Concreteness are just a few of the strategies to consider. This book can actually work for many professions and not simply marketing (teachers, I’m looking at you). Finally, Ron and I spent a little time (like two hours) writing up our target audience avatar, Caleb. This imaginary man is a representative of the people we believe will buy and enjoy our game. It’s crucial to understand Caleb as we market our game and company. We’ll share an in-depth post on Caleb later. Are you marketing a game now? What ideas have seemed to help? Let us know in the comments below! Last Friday for our Play & Learn we wanted to play Star Trek Online … but, unfortunately, I am inadequate at remembering passwords two minutes after I create them. 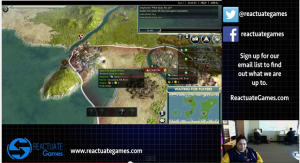 So, we played Civilization V instead. While Katey took over observer mode, Austin and I played. An hour of game time flew by as we established our empires, conquered brutal bandits, and waged war on Germans who didn’t want to be our friend. Animals move like real animals! We noticed that whales jumped from the surface of oceans and horses seemed to do horse-like things, too. These small details make the game play more realistic and fun. Viewer mode. The observer mode that Katey was on is similar to a feature we hope to implement in our own game. Like our Colony Cam, this position allows the person to look at the game play in a new and unique way. Automatically takes you to the action. This feature helps prioritize the big battles that occur during game play. Enlarged images. These large-scaled images help players understand what to do. A huge group of cattle or giant glittering minerals give players a hint at what’s supposed to take place. Option to change pace. This is nice in that various personalities or gamers can play at their own speed. Have you played Civilization V? What did you think? Remember to join us next time when we do another Play & Learn on Twitch! Last Friday, our company let go one of our digital artist. We were saddened by the decision, but it was one that the company felt needed to be made. The RG team shared a tearful goodbye with the artist and then tried to get through the rest of the day. This is the ugly side of business. Sometimes things just don’t work out. Though we are one man short, we still have a dedicated team working hard on getting Guardian’s demo out by September 1st to begin our Kickstarter Campaign. Austin, our programmer, has been implementing the UI into the game and creating the introductory missions that will advance the player through different levels. 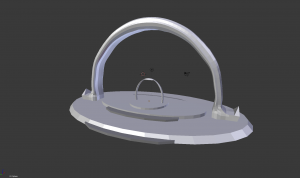 Katey, our digital artist, has nearly completed one of the most important pieces in Guardian— the colony portal. This gigantic contraption will transport humans from earth to the foreign planet by using tremendous amounts of electricity. Because so much energy goes into this process, colonists won’t be able to come and go all willy-nilly. The decision to populate this new world will not be an easy one. This last week I focused largely on finding new blogs and bloggers that are primarily interested in indie games. From Kickstarter’s website, I searched for other indie game companies’ campaigns and saved their games’ images. After using Google image search, I found a few blogs that covered these games. 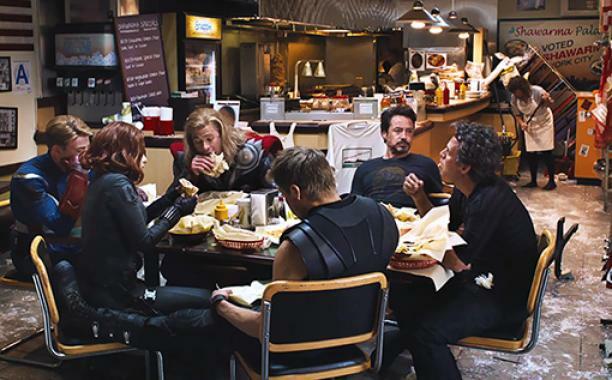 Eventually, I will reach out to these bloggers in hopes that they will want to write about Guardian, too. It could be a long shot, but there isn’t any hurt in trying, either. This marketing strategy stems from Tim Ferriss’ article “Hacking Kickstarter: How to Raise $100,000 in 10 Days.” It’s a great read if you or your team are planning to do a crowdfunding project. The RG team faced a difficult week, one that stretched us as game developers and as individuals. But a new week is upon us, and we’ve taken the time to rejuvenate, refocus, and reset our mind on the ultimate prize.